Dr. Shebani is so loving and soft spoken. My children adore her! She kindly takes the time to discuss any questions or concerns. The Toy Man makes each visit magical as well. 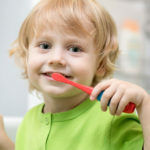 I’m pretty sure not every parent has kids regularly ask if it is time to go to the dentist yet because they Want to go!